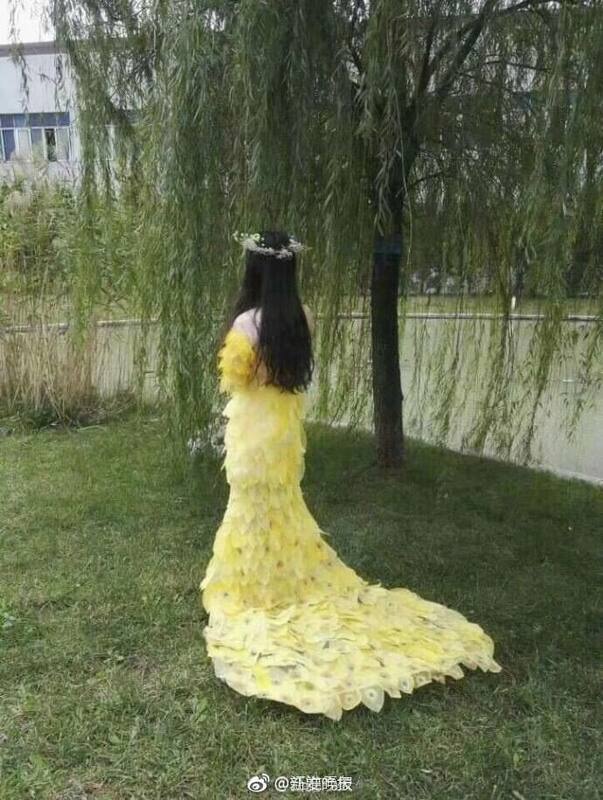 After going viral on Chinese social networking platform Weibo, an elegant Dress made entirely of leaves has gotten the attention of Western audiences. 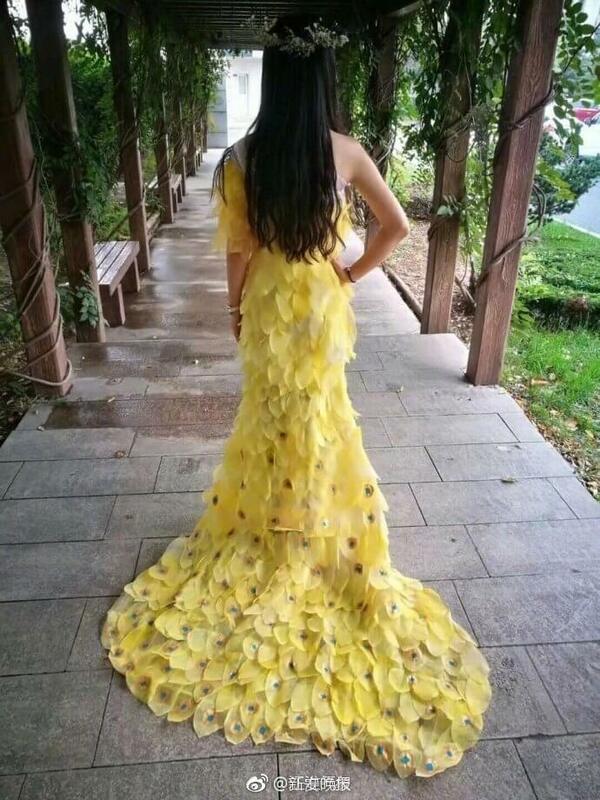 Four sophomores from the University of Heifi had worked diligently on this dress, compiling the leaves and constructing the breath-taking garment over the course of six months. 6,000 leaves, a bunch of thread and a whole lot of patience later, and they submitted the final result to their school’s Animal and Plant Specimen Contest. The dress was inspired by what was worn by actress Fan BingBing to the Cannes Festival. 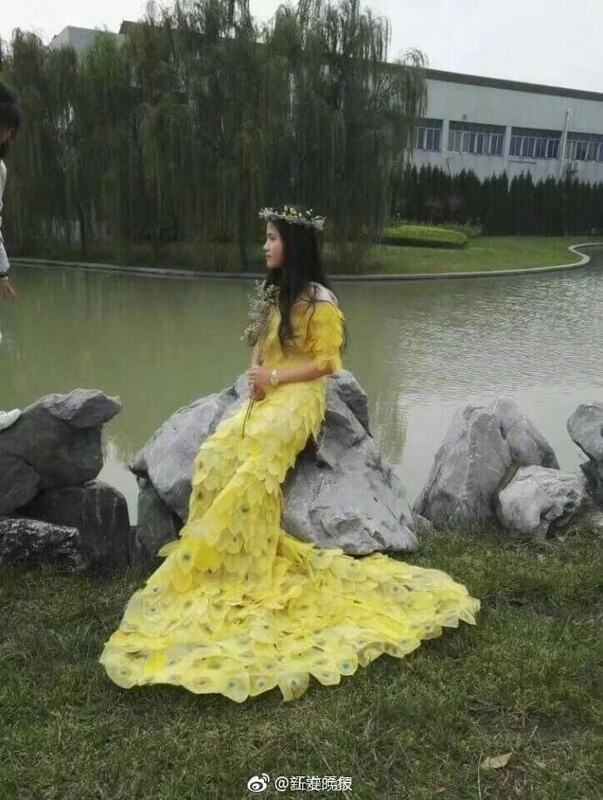 The unique and beautiful dress got the attention of two male and two female students, who then asked their instructor if they could recreate it-but with leaves instead of traditional fabric options. 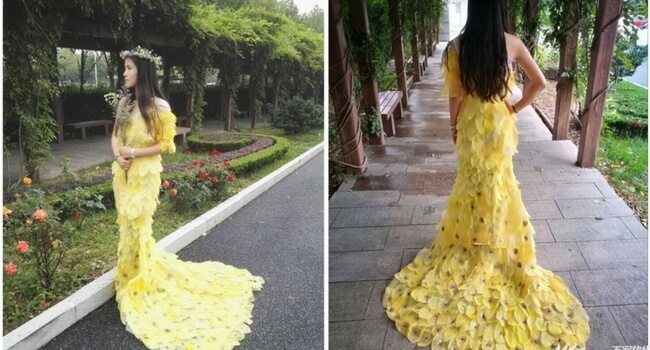 After getting the approval of their instructor, the four students went to Tianzhu Mountain to collect the leaves that would compose this dress. 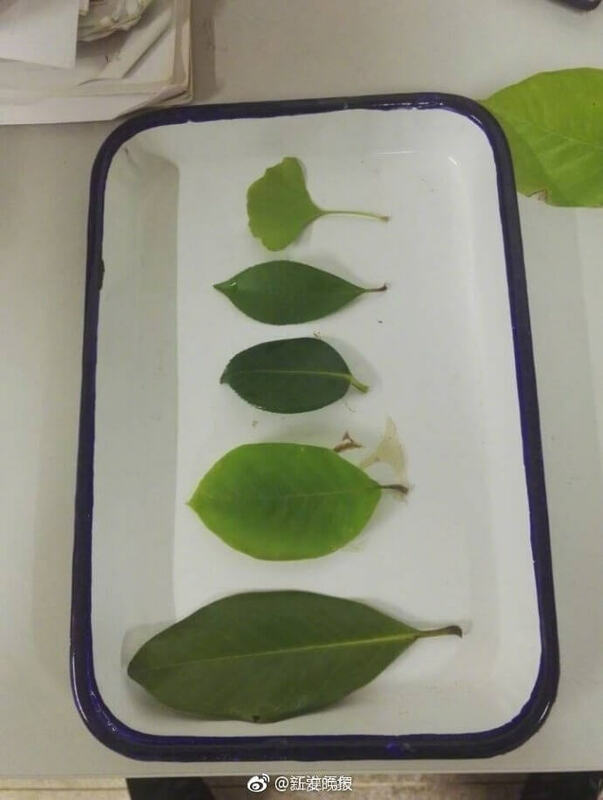 To prepare the leaves for this purpose and to prevent them from withering, the students proceeded to boil the leaves in an alkali and sodium carbonate solution. 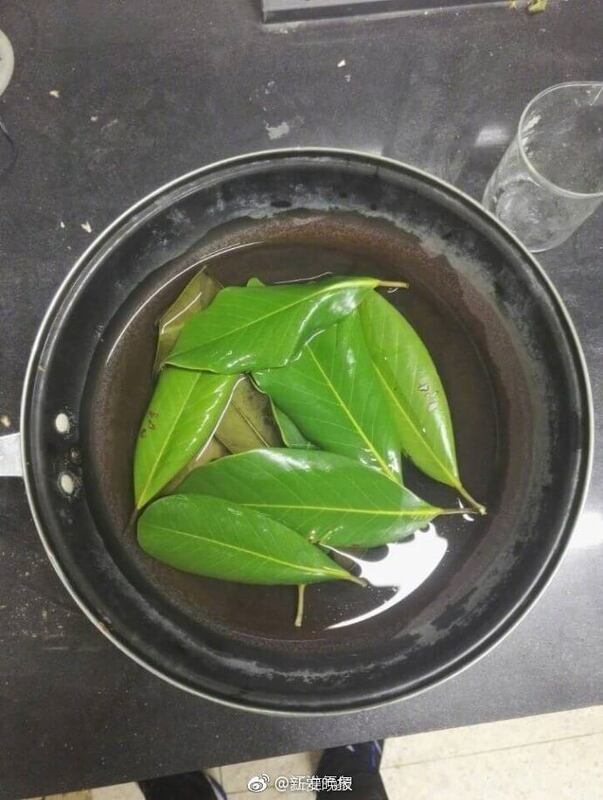 This made it easy to remove the exterior layer of each leaf. 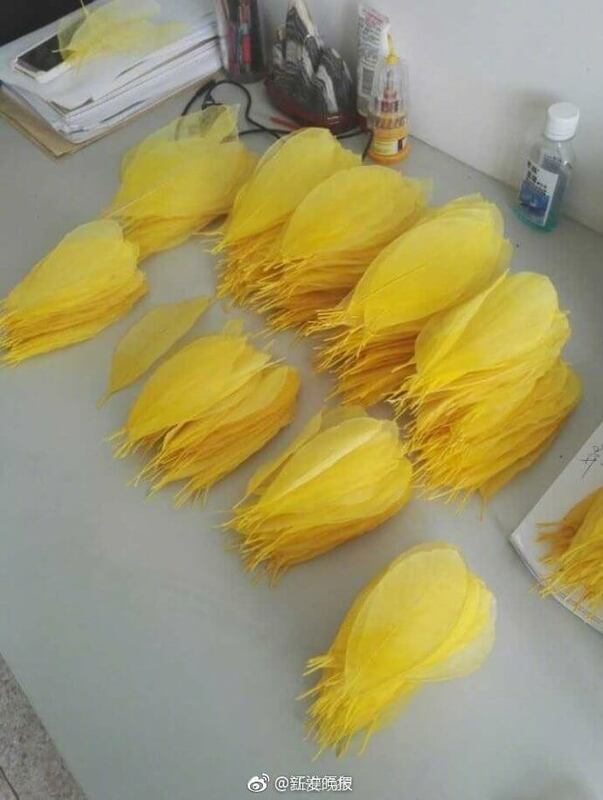 This process revealed a gorgeous buttery-yellow coloring inside of each leaf. 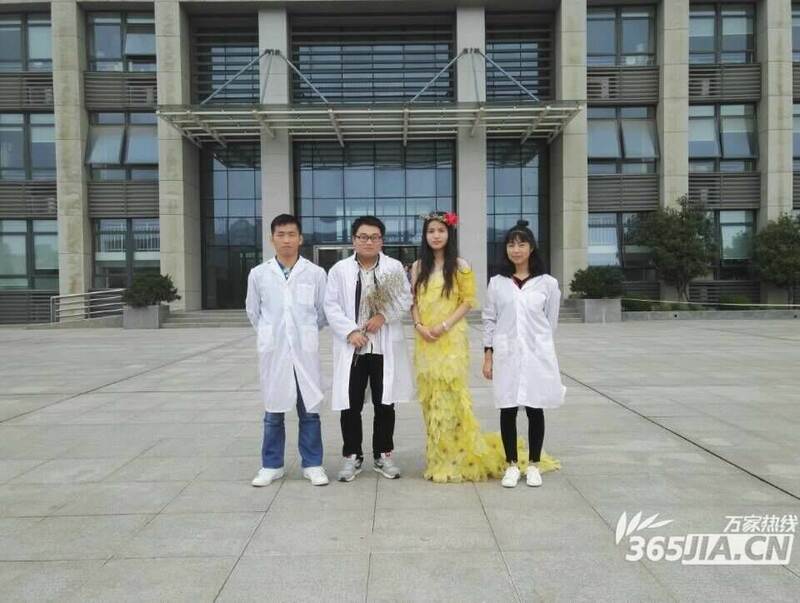 As you could likely guess, the four university students were rather busy. 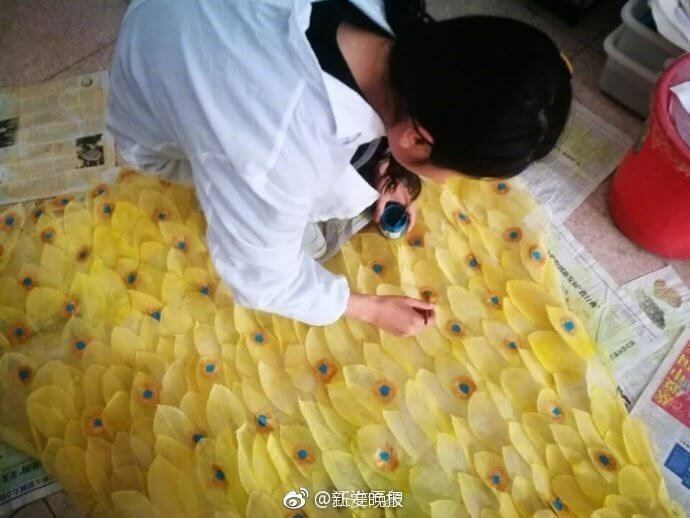 Because they could only work on this dress in their free time, it took a total of six months to construct the final result. Their hard work and determination has paid off immensely, with the students receiving viral internet attention and a lot of praise for their handiwork.